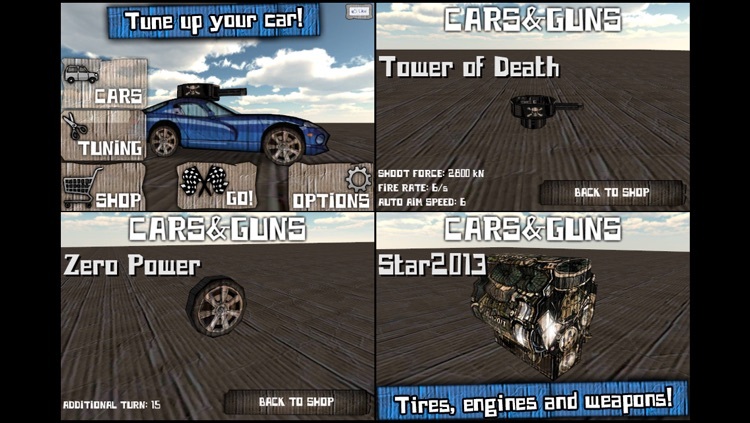 Guns & Cars & Fun! 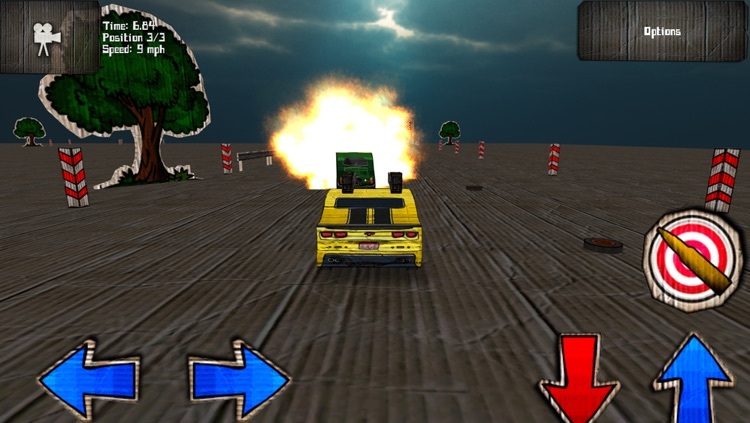 Pure car shooting action in 3D! !!!!!!! NOW IOS 7 COMPATIBLE !!!!!!!! !!! OVER 30 DIFFERENT, STYLISH CARS !!! !!! OVER 25 UNIQUE MISSIONS INCLUDING KILLING ZOMBIES !!! !!! 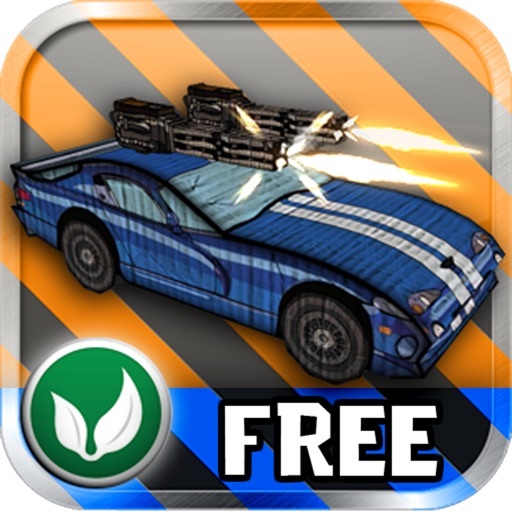 WEAPONS, CAR TUNING, AWESOME SOUNDTRACK !!! !!! GAME CENTER AND OPENFEINT, GLOBAL LEADERBOARDS !!! !!! CONSTANT UPDATES AND ENDLESS FUN !!! !!! A-Van, Batcar'89, 18 Wheeler and many, many more !!! !!! COMPLETE GAME FOR FREE !!! That's all for... FREE! Impossible? Just check out the game and support its development by rating it and joining us on facebook. Awesome racing and arcade game remaining such famous titles as GTA, Carmageddon, Test Drive and Street Rod series. 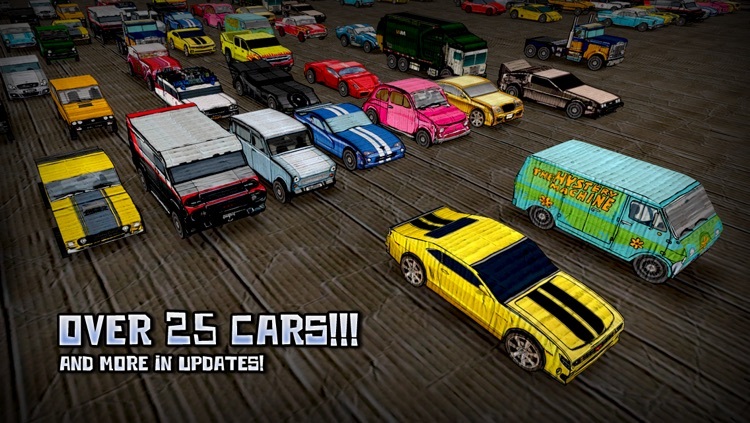 Trading, global leaderboards, 16 upgradable cars, 16 different missions, unique gameplay, awesome graphics and fabulous soundtrack. 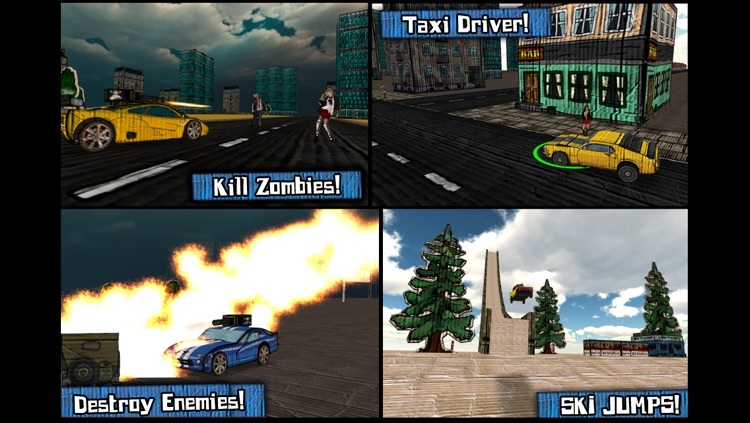 Try ski jumping, taxi driving, destroying enemies using weapons! 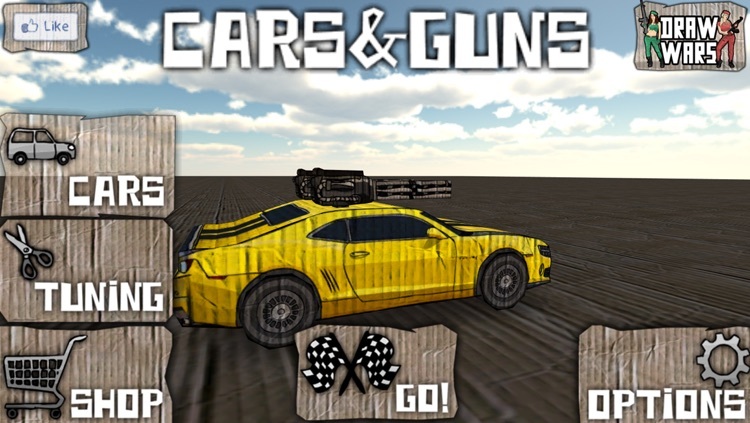 Cardboard Cars & Guns! You don't like the advert and want better performance? Just take the advert free version (the same as this one) and fully enjoy the game.